For a relatively small country, the list of budget airlines in Thailand is longer than expected. That's a great thing for competition! Finding domestic flights in Thailand is easier than ever. Passengers can choose from a handful of no-frills budget carriers, one "boutique" airline, and the country's flag carrier. For most routes, there are lots of flights and prices are very affordable. Annoyingly, the one exception for many years has been the route from Bangkok to Koh Samui. Flights are expensive given the short time in the air. Although overnight buses and trains from Bangkok to Chiang Mai and from Bangkok to the islands in the south are always an option, flying can get you to either end of Thailand quicker — at not much extra cost. Flights to Northern Thailand can often be found for only $50. Partly owned and headquartered in Bangkok, Thai Airways is Thailand's flagship carrier. It operates out of the newer Suvarnabhumi Airport rather than the more budget-oriented Don Mueang International Airport. The airline is considered a four-star airline, and even on short flights, passengers get snacks and some type of in-flight entertainment. Thai Airways has lost a lot of market share to low-cost carriers over the past decade. Because of that, they picked up a 39-percent stake in Nok Air — a popular budget airline in Thailand — and began the subsidiary Thai Smile Air in 2012. Thai Smile services many destinations throughout Asia. Another benefit of flying Thai Airways and Thai Smile is that they are members of Star Alliance, the world's largest airline alliance (the same group as United Airlines). Bangkok Airways calls itself "Asia's boutique airline," and though that phrase tends to confuse people, what it means is that Bangkok Airways is a small airline with limited flights, offering a higher level of service than the competition — often at a higher price. One of the best perks about flying Bangkok Airways is the fact that they have their own lounges in many of Thailand's airports. Passengers can enjoy snacks, drinks, and peace before boarding their flights. Like Thai Airways, Bangkok Airways is also based out of Suvarnabhumi Airport. Flights service Southeast Asia, China, India, and the Maldives. The skies above Asia are clogged with red-emblazoned AirAsia planes! Makes sense: The Malaysia-based airline is the biggest budget carrier in Asia. Thai AirAsia is based at Don Mueang International Airport in Bangkok. In fact, they've kept the once-defunct airport busy after its reopening in 2012. Though flying AirAsia is usually "good enough to get there," it's still a budget airline in Thailand with very cheap fares. You'll pay extra for virtually everything, including choosing a seat, checking a bag, and paying with a credit card online. The fare advertised is rarely the fare paid at the end of the tally! With AirAsia offering domestic flights in Thailand sometimes as cheap as $20, taking those classic overnight train journeys are now a matter of nostalgia rather than budget. Thai AirAsia X is the long-haul division, offering flights to China, Japan, and South Korea. If an airline could win awards for cuteness, Nok Air would be a contender for top spot. The budget airline, a joint venture with Thai Airways, has embraced a bird theme (nok means bird in Thai), and so all of the airplanes are painted like colorful birds. Flight attendants wear yellow bird outfits, and they sell lots of cute, bird-themed items on their flights. Even the call sign for Nok Scoot, Nok Air's medium-haul subsidiary with Singapore Airlines, is "BIG BIRD." Aside from the cuteness factor, Nok has multiple daily flights from Bangkok to the country's most popular tourist destinations. Flights to Chiang Mai are cheap and comfortable. Unlike many other budget carriers, a snack and water are served; regular seats can be chosen for free, and upgrades are reasonably priced. Maybe it's the goofy bird outfits or just Thai hospitality, but staff and crew always seem to be extra nice on Nok Air. Also, Nok Air is a part of the New Value Alliance -- a team of budget airlines in Asia. Thai Lion Air, partnered with the Indonesia-based Lion Air, began operations at the end of 2013. Thai Lion Air services many domestic destinations in Thailand and connects Don Mueang (DMK) in Bangkok to a long list of international destinations — including many in China. As an associate company of Vietnam's VietJet Air, this low-cost airline in Thailand began operations in December 2014. 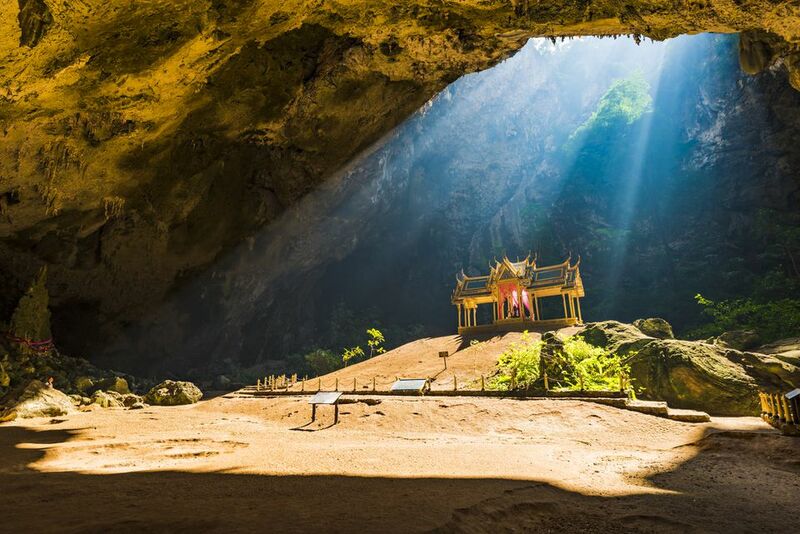 Thai VietJet Air does a good job of connecting Thailand with Vietnam (surprise) and has seasonal flights to Gaya, India, for the many Buddhists who make pilgrimages to see the place where Gautama Buddha is said to have reached enlightenment. Yet another no-frills budget carrier using Bangkok's Don Mueang International Airport as a hub is Orient Thai, however, flights are very limited. Orient Thai's only domestic routes now are from Bangkok to Phuket. They're more focused on bringing the surge of Chinese tourists into Thailand from Shanghai-Pudong (PVG), Nanning (NNG), Nanchang (KHN), and Changsha (CSX).